Commonwealth Day began life as Empire Day at the end of the late nineteenth century. The modern Commonwealth did not come about until April 1949 and as a result Empire Day became known as British Commonwealth Day in 1958, before finally becoming Commonwealth Day in 1966. Today, Commonwealth Day is celebrated every year throughout the Commonwealth on the second Monday in March. 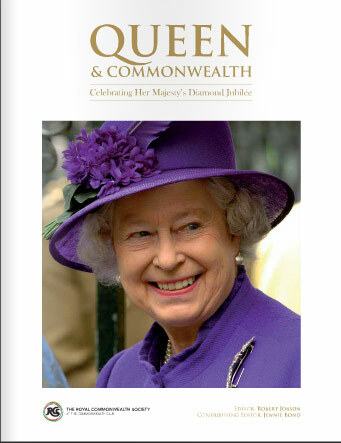 Each year a reception is hosted by the Secretary-General at Marlborough House in London, the headquarters of the Commonwealth Secretariat and we’re extremely proud to say that this year HM Queen Elizabeth II, who is of course Head of the Commonwealth, signed the Commonwealth Charter in a Masters Bookbinding Lay Flat book! You can see from the picture here that the book laid flat beautifully so that Her Majesty could sign it easily. Just as it’s supposed to! For more information on Lay Flat Binding contact us on 0118 324 0120.